Finally all-weather seating that lets you take lounging seriously. 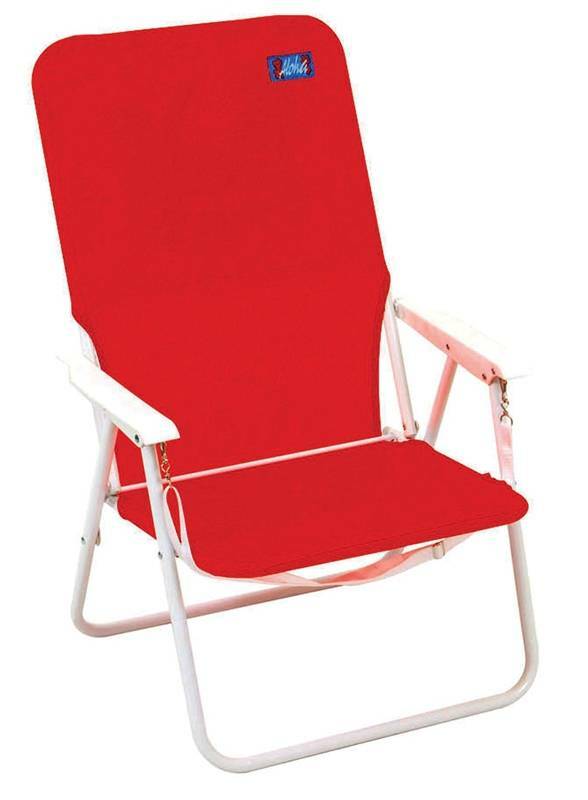 Folding Adirondack chair with pullout ottoman ensures you get the most out of your nap. Classic charm with modern ergonomic structure, extendable ottoman and adjustable backrest. Crafted of solid wood harvested from the Cypress tree family with decay resistance similar to Western Red Cedar. Expect many years of comfort. Ideal for porch, patio or poolside. Easy assembly. 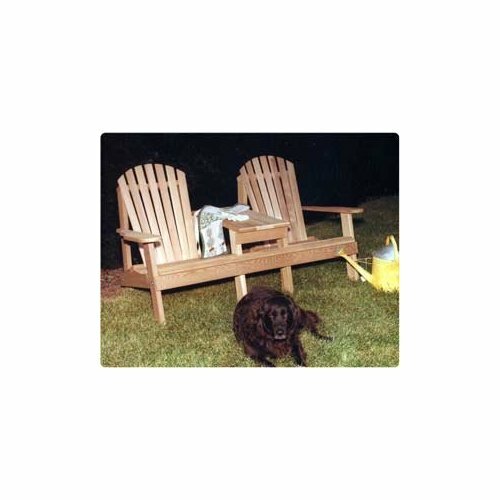 The Southern Wide Slat Adirondack Settee is built in the same manner as the Wide Slat Adirondack Chair. We have incorporated a table in the design for space and to accommodate a drink or reading material. The back has wide slats coupled with a deep seating area. A very comfortable area to relax! Made from 100% Western Red Cedar. Western Red Cedar does not absorb water or lose water as fast as other woods making it the ideal material for outdoor furniture - it does not warp, crack, bow, or check as much as other woods. Cedar also contains oils that are a natural insect repellant. Cedar resists decay, disease and rotting. Comes with Zinc Plated Hardware, and has a maximum capacity of 900 lbs. Seat Dim: 22"W x 18.5"D x 19.75"W top. 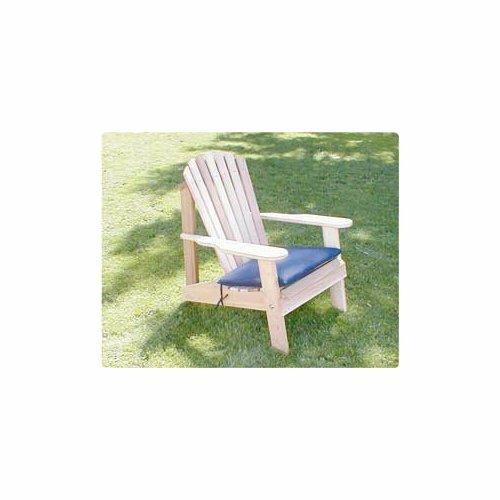 The Keystone Adirondack Chair with its deep seating area gives you plenty of room for comfort. These chairs come with curved arms that allow space to hold your favorite beverage. Consider adding an Adirondack Footrest and End Table to create a comfort zone. 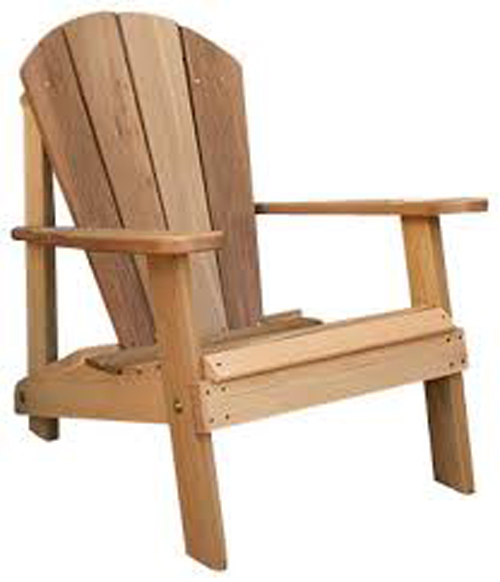 The Keystone Adirondack Chair is both sturdy and durable, but light enough to move around. Made from 100% Western Red Cedar. Western Red Cedar does not absorb water or lose water as fast as other woods making it the ideal material for outdoor furniture - it does not warp, crack, bow, or check as much as other woods. Cedar also contains oils that are a natural insect repellant. Cedar resists decay, disease and rotting. Comes with Zinc Plated Hardware, and has a maximum capacity of 900 lbs. Seat Dim: 22"W x 18.5"D x 19.75"W top. 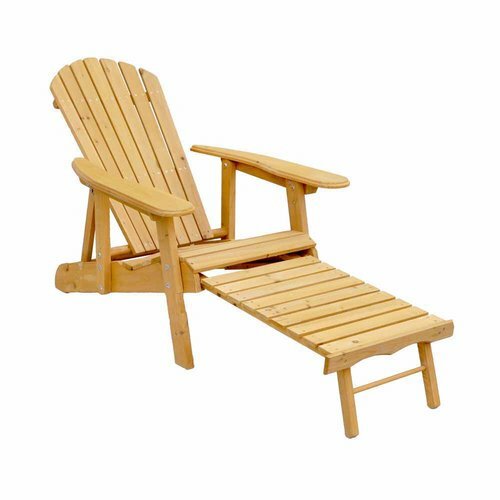 The Keystone Thin Slat Settee is built in the same manner as the Keystone Adirondack Chair. We have incorporated a table to accommodate more space for drinks and reading materials. The deep seating area is coupled with the back slats making this settee very comfortable and easy to get in and out of. Made from 100% Western Red Cedar. Western Red Cedar does not absorb water or lose water as fast as other woods making it the ideal material for outdoor furniture - it does not warp, crack, bow, or check as much as other woods. Cedar also contains oils that are a natural insect repellant. Cedar resists decay, disease and rotting. Comes with Zinc Plated Hardware, and has a maximum capacity of 900 lbs. Seat Dim: 22"W x 18.5"D x 19.75"W top, Table Dim: 15"D.
The name Wide Slat comes from our 5" wide back slats. This design is starting to become our customers favorite choice of Adirondacks. The Wide Slat Chair, with the deep seating area will give you all the comfort you are looking for. The chair comes with the wide arms to rest your elbows and arms. These chairs are very durable and sturdy. Made from 100% Western Red Cedar. Western Red Cedar does not absorb water or lose water as fast as other woods making it the ideal material for outdoor furniture - it does not warp, crack, bow, or check as much as other woods. Cedar also contains oils that are a natural insect repellant. Cedar resists decay, disease and rotting. Comes with Zinc Plated Hardware, and has a maximum capacity of 900 lbs. Seat Dim: 22"W x 18.5"D x 19.75"W top. All of our rocking chairs are handmade to ensure durability to match their alluring style. If you have already begun your patio furniture collection, these matching rockers will further enhance your ensemble. Made from 100% Western Red Cedar. Western Red Cedar does not absorb water or lose water as fast as other woods making it the ideal material for outdoor furniture - it does not warp, crack, bow, or check as much as other woods. Cedar also contains oils that are a natural insect repellant. Cedar resists decay, disease and rotting. Comes with Zinc Plated Hardware, and has a maximum capacity of 900 lbs. Dimensions: 30"L x 37"H x 35"D.
The sitting angle reclines enough to relax, without preventing intimate conversation and fellowship. Some chairs lay back so far that you can feel trapped in them...this is not one of those chairs. The wide arms provide an ample stage to rest your arms or a spot for a good old southern sweet iced tea. All edges and corners are eased and softened. Like fine furniture, you cannot help wanting to touch and feel this chair. 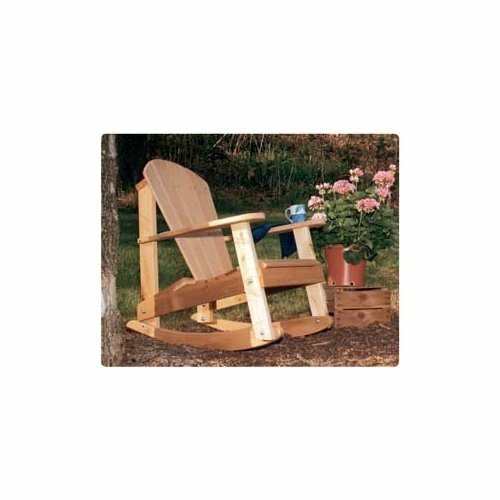 This Lifetime Essentials Adirondack chair represents the culmination of diligent design and construction by artisans. Made exclusively for Pawleys Island Hammocks, this traditionally styled poly lumber Adirondack chair offers lifelong comfort and durability. We back our workmanship with a guaranteed lifetime warranty. The back features a gentle horizontal curve, with a seat specially contoured to provide the utmost in comfort, anytime you feel inclined to recline. The sitting angle reclines enough to relax, without preventing intimate conversation and fellowship. Some chairs lay back so far that you can feel trapped in them...this is not one. Made exclusively for Pawleys Island, this traditionally styled Adirondack chair offers lifelong comfort and durability. We back our workmanship with a guaranteed lifetime warranty. The back features a gentle horizontal curve, with a seat specially contoured to provide the utmost in comfort, anytime you feel inclined to recline. The sitting angle reclines enough to relax, without preventing intimate conversation and fellowship. Some chairs lay back so far that you can feel trapped in them; this is not one of those chairs. Some assembly required.